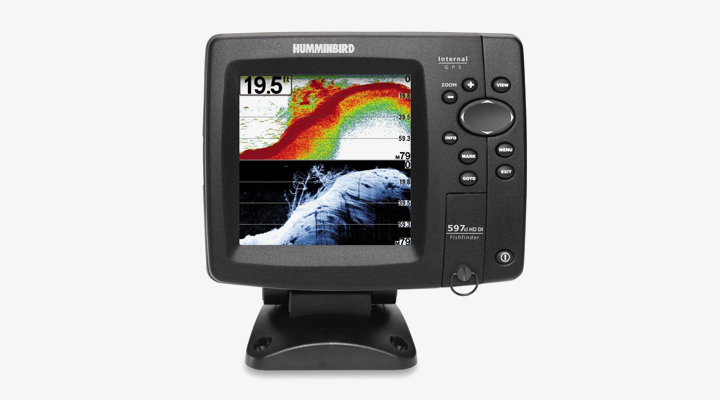 Humminbird 597ci HD: Whether you are new to fish finders or you’re looking to upgrade your current model the amount of positive Humminbird 597ci HD reviews paints a very clear picture of just what a great buy this one is. This unit is far from basic and is absolutely packed with great features and tools that will make fishing a breeze. 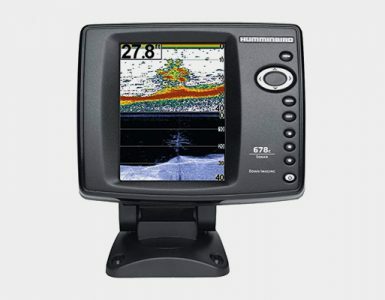 It combines two powerful and useful tools into one by offering you a fish finder and chartplotter in this handy 5-inch device with a LED-backlit color display, and high-resolution images. 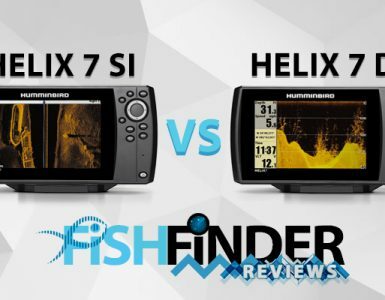 Talk about an extensive feature list just as the Humminbird 597ci HD DI Fishfinder reviews suggest there are lots to talk about here. Make use of such features as the unit’s whopping 4000 watts of PTP power output on the DualBeam sonar, a dual-beam Siwtchfire Sonar that offers a 60-degree beam and a more precise 20-degree beam, as well as down imaging for seeing under your boat. Included with your unit is the helpful UniMap which gives you coverage of the continental U.S. inland lakes, coastline, and rivers. This detail is given to you at 30 meters per pixel resolution. The real-time sonar means you are getting updates as they happen so you can act quickly on what you see. View details such as the fish, the bottom of the water, and structure details. Let’s not forget that this unit comes complete with a one year warranty and weighs just 4.4 lbs. 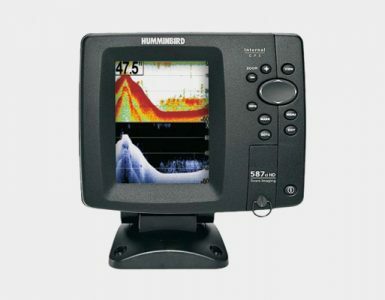 Additional features include selective fish ID, freeze frame so you can mark structure on the sonar, split screen zoom, and sonar echo enhancement. The beam is capable of jigging down to 70 feet and being able to separate fish as close as 2.5 inches apart. Of course, all of this is given to you in crystal clear quality just as you would expect. Not to worry it features an easy to use dash-mount. Consumers are loving the accuracy, reliability, and features that this unit offers them. This unit offers an impressive amount of professional styled features for a very reasonable cost making it perfect for the more seasoned anglers. Assembly and mounting the device are simple and quick, reading the screen is easy, and the real-time sonar information is a welcome feature. Although hard to find there are a handful of negative comments. One user had a problem updating the downloads, while another found the unit didn’t last for long before it stopped working (approximately 30 uses). These seem to be fluke issues however and are not common among users. For beginners, this unit may be a bit more advanced than they need and it doesn’t have the same portability as some of the cheaper units that don’t use wiring or rigging. If you’re ready to take the sport of fishing to the next level then this is the tool to help you do so offering up professional-style features at an affordable price.